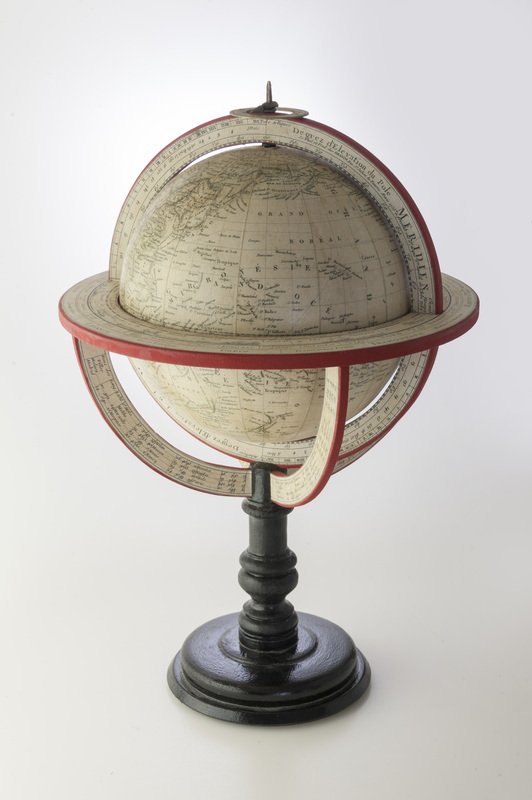 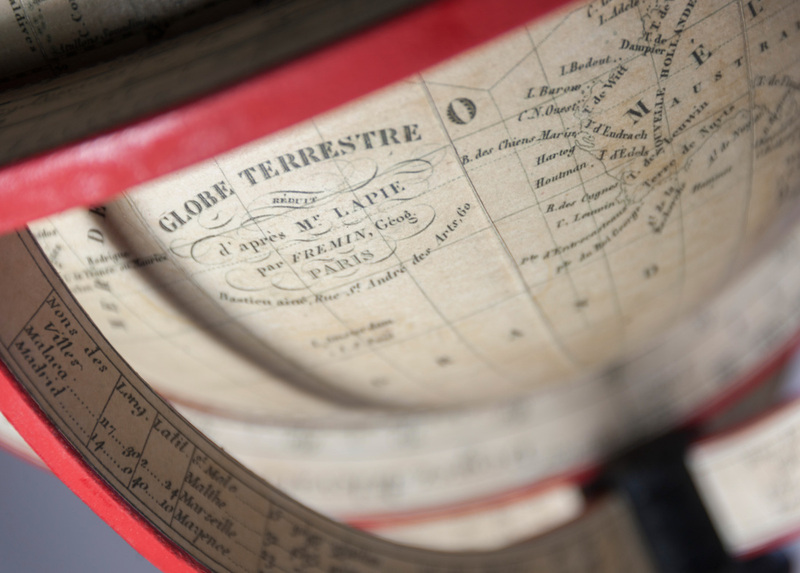 This hand coloured 8 inch terrestrial desk globe is presented on a wooden stand comprising a papered meridian ring which sits inside a horizon ring. 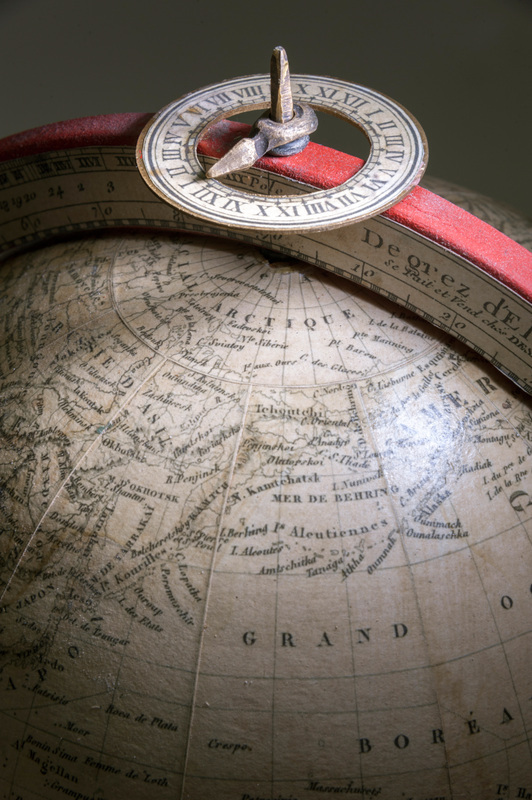 The horizon ring is supported by four arms each showing the latitude and longitude of cities and towns. 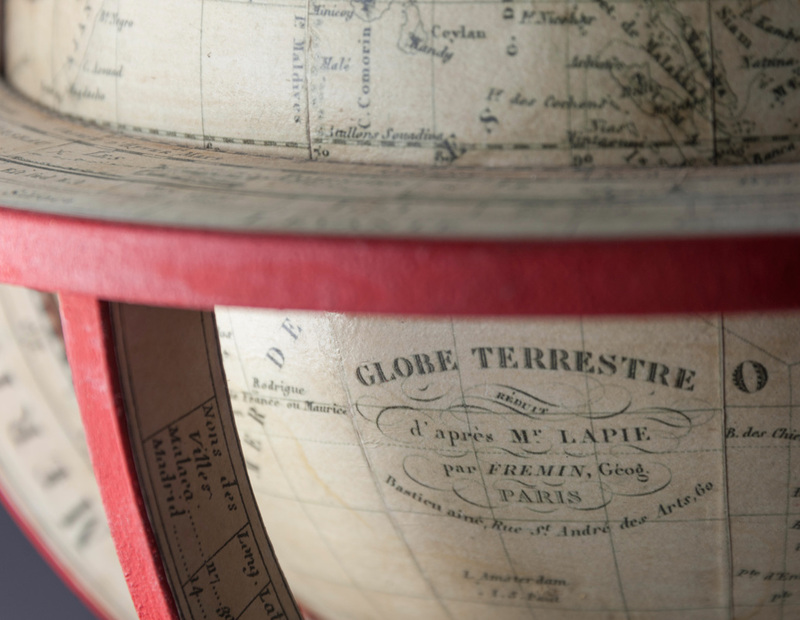 This globe is a faithful reproduction of Lapie's table globe from 1836 which has been carefully styled to mirror the appearance of the globe as it would look today .